Description: My Thai Guesthouse is a great place to get away from it all. It is in a perfect location with a multitude of great eating RIGHT at the front door! We're not joking! Great food is being cooked right in front of your eyes at two of the many thai and seafood restaurants right on our doorstep. 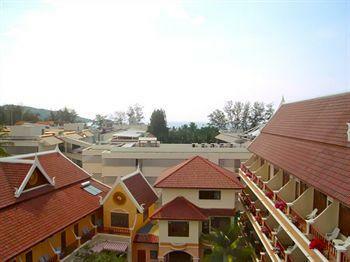 Description: Elegant, comfortable and cheap, Anchalee Inn is ideal for groups of youngers, for couples, for families, for elderly persons, and it is also perfect for those who love enjoy the hot Patong's night-life. Description: The Minhotel is a boutique guest house offering 20 comfortable and individually air conditioned guest rooms in the centre of Patong.